​​On behalf of National Friends of Public Broadcasting I would like to express my most sincere condolences to Judy’s family, her relatives, her colleagues and her friends. National Friends of Public Broadcasting (NFPB) is a membership organization comprised of both station staff and volunteers. NFPB serves as a valuable resource in support of volunteerism within public media through leadership, education, training, mentoring and recognition. Judy, as a Volunteer for Public Television Station WFYI in Indianapolis, Indiana played a valuable role as a member of National Friends, and a member of the Board of Trustees for 19 years. Judy served as a Vice Chair and then Chairman of the Board from 2001 – 2003. Judy’s organizational and leadership skills led the organization through a re-structuring period that set National Friends on a solid course. 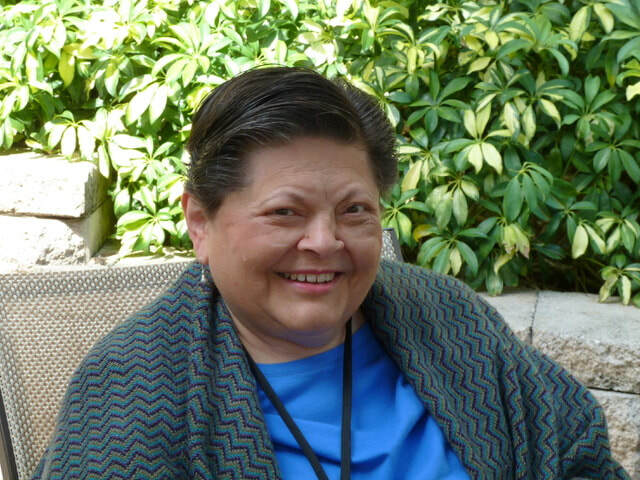 Judy also served as editor of NFPB’s newsletter, coordinated the NFPB Web Site for several years and at one time or another served as a chairman of many of the committees: Membership, Nominating, Awards, and as a Member of the Executive Committee. Judy worked tirelessly for National Friends advocating for volunteers in public media, she knew the value of volunteer work and the important contributions volunteers were making at public broadcasting stations across America. National Friends is an all-volunteer national organization. The time Judy spent working on National Friends projects was all done after her full time role at Church World Services. I had the privilege of working with Judy and the honor of knowing her. Over the years, we spent many days at PBS conferences, training and mentoring public broadcasting volunteers. Judy would use vacation time to attend the conferences and spent many birthdays with us – she said it was a “present to herself”. Judy was always doing for others and never stopped often enough to reflect on how she had already made the world a better place. Judy’s work has not ended with her passing – but instead her spirit will live among all those whom she has touched.